I've been thinking about putting a Weigand Weigatinny mount and a Seeall sight on my wife's Security Six. Anyone have any experience with either of them? I had a Weigand mount on my Mini 14 and it was high quality. Just curious what you guys think. I just ordered one for my Ruger Redhawk, I hope it holds up to all of the good reviews that have been submitted. I'll let you know how it works out. 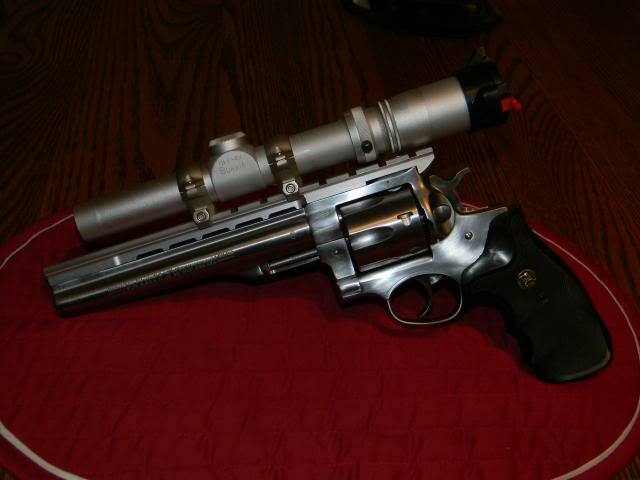 I put a Weig-a-tinny mount along with a Burris Fastfire 3 on my Ruger SBH. Perfect fit, great mount. Thanks, I think I'm going to try it. I thought about the Fastfire II but then I saw the SeeAll. No batteries in the SeeAll kind of caught my attention. I put one on my Redhawk a few years back, I really like it, easy to put on/take off, and solid as a rock!